Valerian (Valeriana Officinalis) Root Extract, Lemon Balm (Melissa Officinalis) Aerial Extract, 5-HTP (Griffonia Simplicifolia) Seed Extract, Razberi-K® Raspberry Ketone, Melatonin. Gelatin, Magnesium Stearate, Microcrystalline Cellulose. 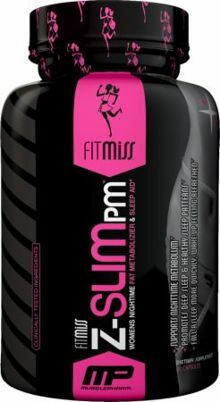 Take one serving (2 capsules), preferably on an empty stomach, 30-60 minutes prior to bedtime. USE ONLY AT BEDTIME. This product may cause drowsiness. Do not drive or operate heavy machinery after taking this product. Do not take with alcohol. This product is only intended for use by healthy adults over 18 years of age. Do not use this product if you are pregnant, expect to become pregnant or are nursing. Consult your physician before using this product if you are taking any prescription or over the counter medications or supplements. Do not use this product if you are at risk or are being treated for any medical condition including, but not limited to: high or low blood pressure; cardiac arrhythmia; stroke; heart, liver, kidney or thyroid disease; seizure disorder; psychiatric disease; diabetes; difficulty urinating due to prostate enlargement or if you are taking a MAO inhibitor. Discontinue use and consult your health care professional if you experience any adverse reaction to this product. Do not exceed recommended serving size or suggested use. KEEP OUT OF REACH OF CHILDREN. 60 Capsules This is a Buy 1 Get 1 FREE offer!